September 30, 2016, ©. Leeham Co: In our Corners on East bloc aeronautical industries, we will now look at the Chinese civil aircraft industry. The Chinese aero industry has similarities with the Russian industry in its overall structure. From the start of the industry in the 1950s, it was structured after the Soviet model of research institutes, design bureaus and production companies. 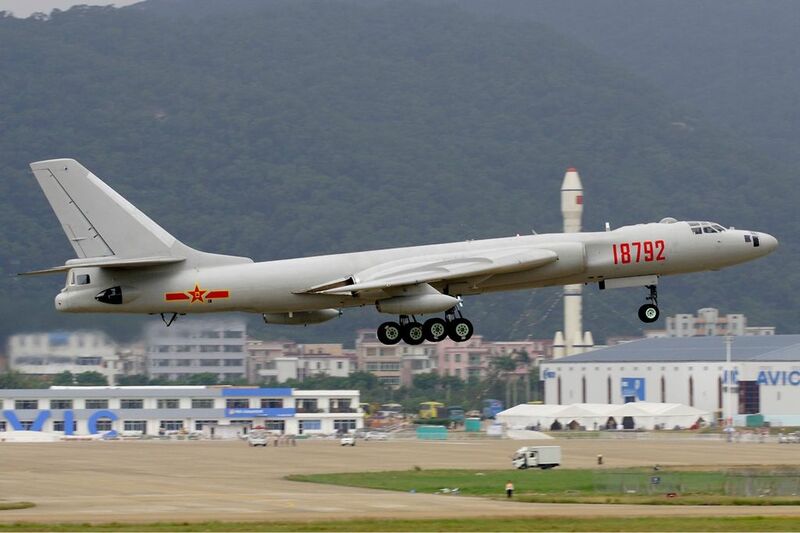 The difference to the Soviet Union was that its own Chinese aircraft designs only started in the 1970s. Before that, the industry built Soviet designs on license and then modified versions of licensed designs. The first own aircraft designs were presented in the 1980s with a focus on military designs for the first 20 years. The Chinese aeronautical industry was established after the Communist rule was established in 1949. The engagement in the Korean War required that the aircraft industry was centrally controlled under the Aviation Industry Administration Commission from 1 April 1951. The naming is typical; the aeronautical industry was part of the mechanical manufacturing industry in the country. The companies produced different industrial and consumer goods (vehicles, military equipment for the all dominant army, different other mechanical goods, aircraft under license). Typical aircraft produced during this period was the Soviet MiG-15UTI trainer designated JJ-2, the first license built aircraft (which required a lot of assistance from Russia). After the JJ-2 came the J5, which was a license-built Mig-17, and the H-6, a license-built Tu-16 bomber which was still produced in the 1990s, Figure 1. Figure 1. License built Tu-16 bomber as Harbin H-6. Source: Wikipedia. China started a transformation of its military government departments into public corporations after the death of Mao Tse-tung (1976). One such corporation was the Aviation Industries of China (AVIC) that spun off in 1993 from the Aerospace Ministry. AVIC was a holding company for hundreds of public industrial corporations. These corporations were manufacturing all sorts of goods from automobiles to aircraft, machinery, household appliances, and its aircraft production was modest when compared with western aeronautical companies. (Sixty percent of AVIC’s revenue were automobiles, auto-parts and motorcycles in the early years). In the 1990s,China increased its investment in military technology, particularly in aerospace. 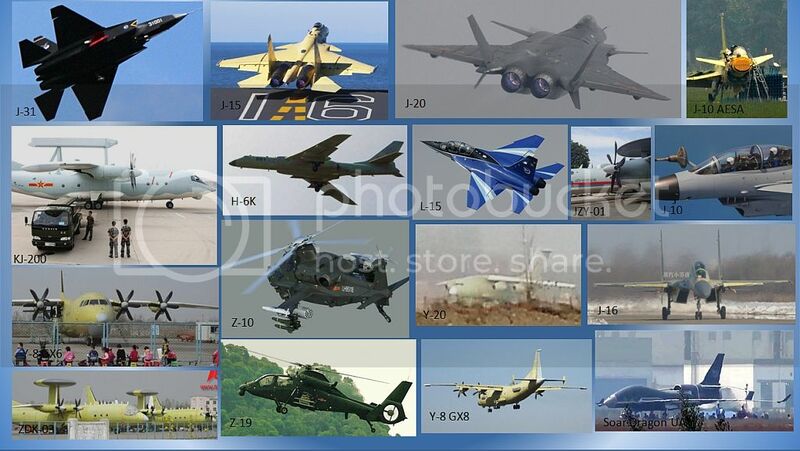 China now designed and built several military aircraft of more and more its own design. It also increased the commercial aircraft activity by further developing and producing Soviet models like the Y-7 (An-24) and Y-8 (An-12), Figure 2. Figure 2. 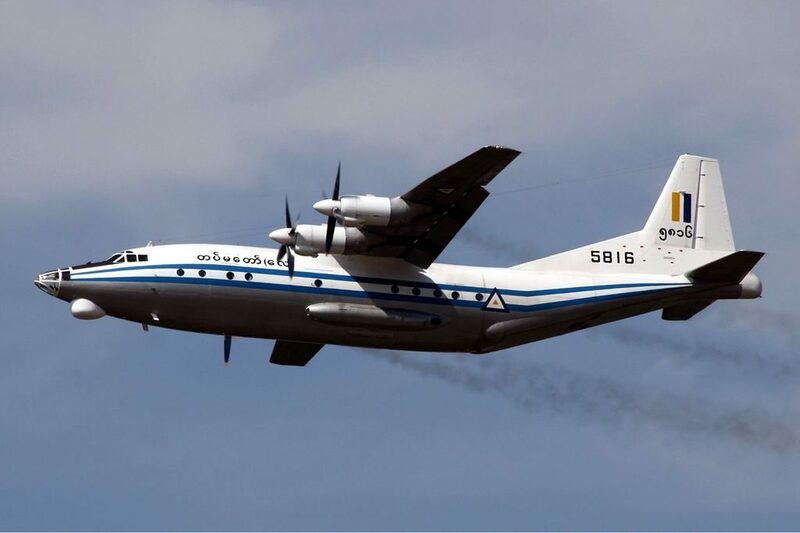 The An-12 based Y-8 produced by AVIC’s Shaanxi Aircraft Corporation. Source: Wikipedia. After these failures, China engaged in subcontracting work to the western aircraft industry. By 1995, AVIC had subcontract work worth $1.5 billion. In 1999, AVIC was split into AVIC I and AVIC II government holding corporations. At the time, AVIC and its manufacturing subsidiaries had 560,000 employees producing aircraft, aircraft machinery, aircraft parts, weapons, missile, aircraft engines and other industrial goods. The two aircraft holdings now started their corporate streamlining. AVIC I focused on larger aircraft, such as fighters, fighter-bombers, bombers, transports, reconnaissance aircraft, turbojet engines, turbo-fan engines, air-to-air missiles and ground-to-air missiles, as well as machinery and other types of weapons. It was controlling some 50 large and medium sized firms, including four Tier 1 companies: Shanghai Aviation Industrial Group (SAIC), Chengdu Aircraft Industrial Group (CAC), Shenyang Aircraft Corporation (SAC) and Xian Aircraft Industrial Group (XAC). The commercial aircraft units improved the quality and efficiency of their products through producing for or cooperating with Boeing and more recently Airbus. In 2006, AVIC I had aerospace sales of US$5.6 billion and 23,000 employees. AVIC I launched the M-60, a stretched version of the An-24-based Y-7 in 2000. 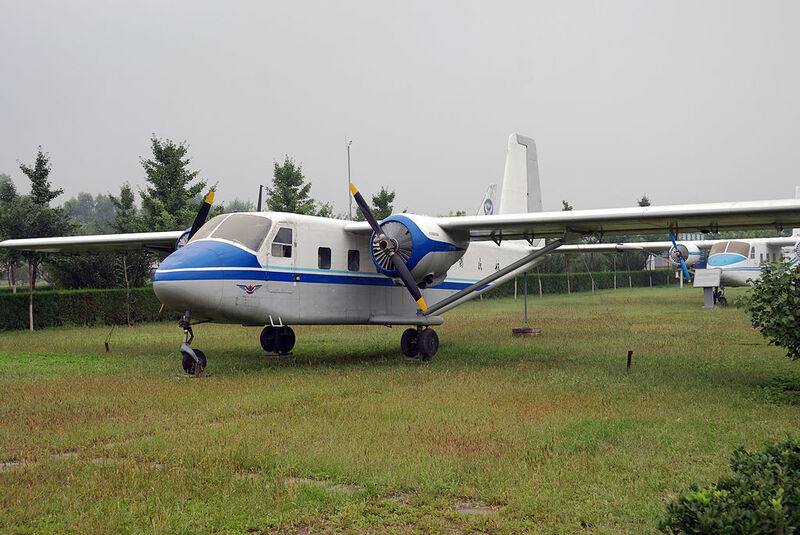 The Harbin Y-11, its own design piston twin, Figure 3 and Y 12 (Twin Otter copy) were also produced. Figure 3. Harbin Y-11, one of China’s first own designed aircraft. Source: Wikipedia. By the end of 2000, AVIC I started work a new regional jet, ARJ21. The design was similar to the Douglas DC-9-10. Now, 16 years later, the aircraft is in limited service with Chengdu Airlines. AVIC II focused on smaller aircraft and helicopters. In 1999, AVIC II owned 54 large and medium-sized industrial enterprises and three scientific research institutes involved in helicopter, smaller airplanes/engines and airborne equipment. AVIC II had 210,000 employees. In 2008, AVIC I and II were reintegrated into AVIC at the same time as the larger commercial aircraft projects were gathered in a new holding, Commercial Aircraft Corporation of China, COMAC. The charter for COMAC is to develop and market aircraft to lessen China’s dependence on western manufacturers like Boeing and Airbus. Its first project was to market the AVIC I developed ARJ21. It was followed by the development of COMAC’s first own aircraft, the C919, Figure 3. Figure 3. COMAC’s first own project, C919. Source: COMAC. The C919 is the aircraft project where China should catch up most of the advantage that the western competitors have, both technically and production wise. COMAC is now discussing the next project with Russian United Aircraft Corporation, the development and production of a 250-280 seater wide-body. The Y-10 was a technology project that was started by the non winning political faction after Mao (the gang of four). When Deng Xiaoping firmed his grip of China no-one wanted to be to associated with this project which was also not a technological success. It did learn the aero industry quite a bit though, the chief designer became the chief designer of ARJ21. I would have to say “catch up” is a relative term. C919 has major Western systems including the engine. It does not have to have it, but few countries will buy it without it. What I can see as its future is the China equivalent of the P-8. MC-21 done right is at least on paper competitive, producing and support aside. That is the one they both should be hanging their hat on. Russia have achieved a bit of a advancement in that segment that will be fleeing if not fully exploited and it is likely not to be. By the time the so called wide body is done with all the issues between the two countries its going to be very very late and superseded. Only the Russians will have support experience and we have to see how that goes. they have failed so miserably so far on the military sales India a staunch partner previously and with more potential industry benefits has given up on them. China has money. China has political power. The C919 will be approved when China wants it to be approved. When the time comes, the FAA will bow to its new Asian Overlord. Such is the way things will work. Deal. I don’t necessarily like it, either. But that’s just the way the Fortune Cookie Crumbles. They cant even get a 4rd rate copy of a 3rd rate Ukrainian turboprop approved for Western use. Confucious say : best way to save face is to keep lower part shut. Yep , it’s pretty bad when you copy Russian technology and can’t even meet their low standards. So what? The Xian MA60 is an old project that was not all they hoped it would be. So they go back and try another one….and then another one….and then another one. They will get it right and they are wealthy enough to keep developing. They got Money. They got Time. They got Brains. They got Patience. You may look at such Aircraft as the Y-10, the MA60 and the ARJ21 and see nothing but failure…but I see long-term plan patiently executed. And as China gets wealthier – and Lord knows they will get wealthier – then the pace of development will speed up considerably as money and experience accrue. As an aside…It’s hard for Americans to believe this, but the Chinese have a cultural confidence the type of which Americans could never understand. China was #1 for the better part of 2000 Years before the 1800’s and as far as many Chinese are concerned, there is no reason why China shouldn’t be #1 again and have that be the norm for the next 2000 years. And that’s not boasting, it’s just recognizing a fact that Team China is nearly 1.4 Billion terribly smart and industrious people who are well organized and becoming extremely wealthy. And that Chinese confidence is unstoppable when applied wisely. With the possible exception of Pre World War 1 Japan, no nation has ever risen so far so fast as China has in the past 20 years. So, seriously, mastering commercial jetliners is actually an afterthought to a people who have done so much. I look at China and see a ‘cant deliver’, I look at Brazil and Canada and see, Can do. China has huge outflows of money as its wealthy class take their money and their children overseas for real estate and education. They dont trust the government and they have contempt for the low level of the tertiary education system in China. Rapid growth isnt infinite, eventually the bubble will burst. May be they will have produced a copy of a western design by then that takes only 10 years instead 20 . I made a short overview of running programs 4 years ago. Defense but indicating capability. Nicely done, I always enjoy your graphics. Thanks!